This Raw Black Soap with Organic Shea Butter is an exceptional moisturizing exfoliant thats effective on all complexions. Rich in nutrients, Vitamins A and E, the Black Soap helps regenerate skin cells and neutralizes free radicals, restoring your skins natural elasticity and preventing premature facial lines. 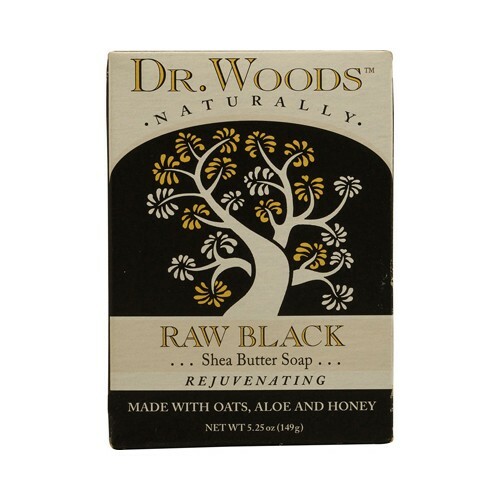 Dr. Woods proudly supports womens cooperatives in Africa that process the plantains and harvest the shea nuts used in the Raw Black Soap with Shea Butter. Indulge with good intentions. Its a simple code we live by. Thats why Dr. Woods strive to use only the most natural, effective and sustainable ingredients we can find. Dr Woods make everything here in the USA, but search the world sourcing the finest ingredients for the products to create a brand we believe in...a brand that makes a difference by doing whats right for you, your family and our planet.